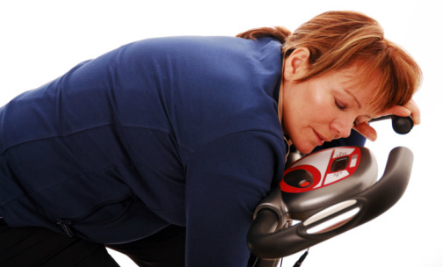 There are so many mixed messages when it comes to the best and worst ways to work out. Similarly, there’s all sorts of misinformation about how the body burns fat and builds muscle. We’re cutting through the nonsense and exposing some of the most common exercise myths. 1. Not sweating? Then work harder! The truth is, sweat isn’t an indicator of how hard you’re working or how many calories you’re burning. All it shows is that your body is cooling itself. 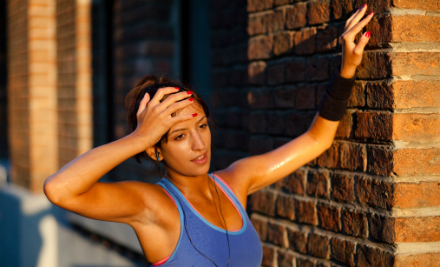 Another factor is that the amount of sweat glands vary from person to person. And, if you are working up a sweat, be sure to stay hydrated! Time and again, studies have shown that stretching does not prevent injuries. Say what?! Well, the problem is that people often confuse stretching with more general warming up — something you should absolutely do before exercise, and, indeed, does prevent injuries. So forgo touching your toes, and do things like jumping jacks and jogging in place instead. 3. Crunches zap belly fat. Will crunches give you a flatter tummy, lunges firmer thighs and arm curls toned triceps? Unfortunately no — there’s no such thing as spot reduction when it comes to burning fat. Rather, you lose body fat all over your body, not just the section you’re working on at the time. 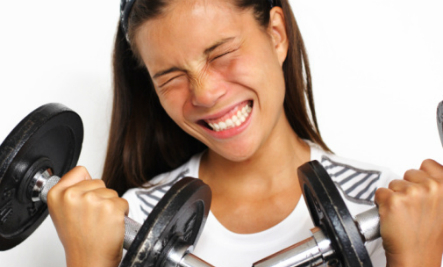 Sure, it’s normal to feel a little sore after an intense workout, especially if you’re new to exercise. But if you’re feeling pain during or after a workout, that’s not a good thing: it could be the sign of an injury. If you’re in pain you shouldn’t push yourself. 5. 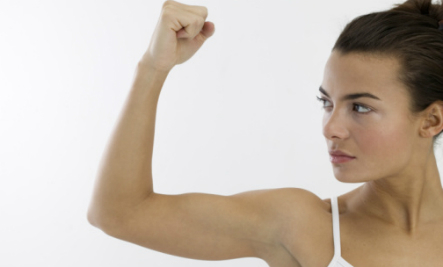 Working out turns fat into muscle. Not at all — fats and muscles are entirely different things with entirely different cell structures! When you lose weight and gain muscle, or vice versa, what you’re really seeing is a change in the ratio of fat to muscle. Also Check Out: Is There Plastic In My Food? 6. The more the better. You don’t need to spend hours at the gym to get in shape and lose weight — studies have shown that just 20 minutes of physical activity a day can have a great impact. In fact, too much exercise can weaken the immune system and harm your performance. It’s also a great idea to let your body rest before partaking in physical activity again. See Also: Brain Tumors From Dental X-Rays: Should I be Worried? 7. If you didn’t exercise when you were younger, it’s not safe to start now. Bad excuse! You can start exercising no matter what age you are; just be sure to not overdo it. 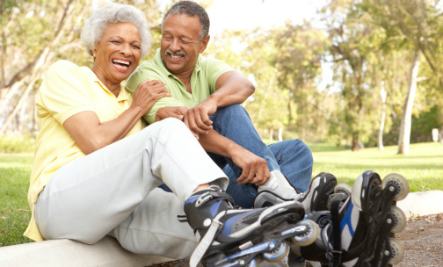 Exercise is a great way for older adults to improve balance, strengthen bones and improve memory. 8. 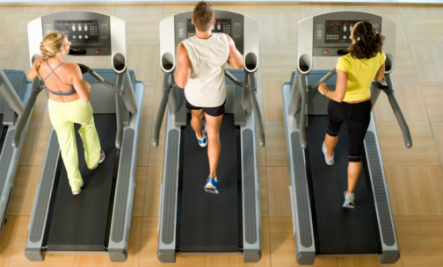 Cardio burns more calories. It’s commonly understood that cardio exercises, like jogging, kickboxing, and biking, are the best way to lose weight. But that’s not necessarily the case — weight lifting also burns calories, and it boosts your metabolism for the following 24 hours. 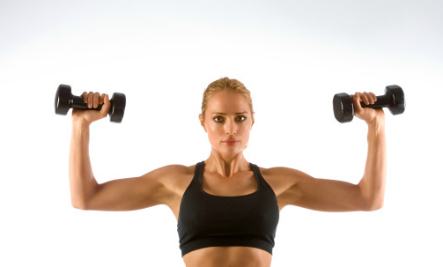 The best way to lose weight is to combine both cardio and weight training. Thatâs a nice site you people are carrying out there.